Thank You for today. 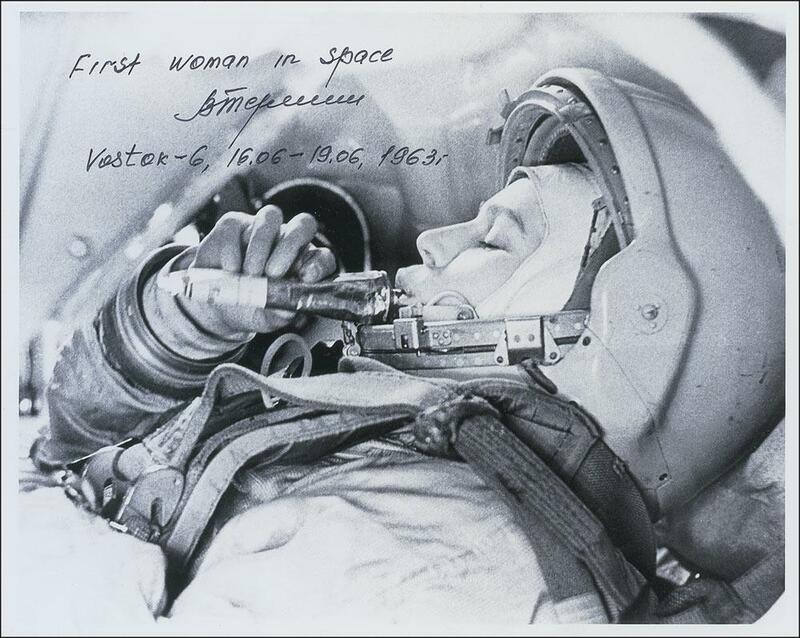 On June 16, 1963, at the age of 26, Valentina Tereshkova became the first woman to fly in space! Valentina spent almost three days in space and orbited Earth 48 times. She conducted biomedical and science experiments to learn about the effects of space on the human body, took photographs that helped identify aerosols in the atmosphere and manually piloted the ship. Her call sign for the flight was Chaika (Seagull). “If women can be railroad workers in Russia, why can’t they fly in space?” Valentina explained the decision to fly in space. After several months of intensive and secretive training, she was nominated and confirmed by Nikita Khrushchev himself to become the first woman in space. “Hey, sky! Take off your hat, I’m coming!” she said in the seconds prior to liftoff. Valentina Seagull has a nest. 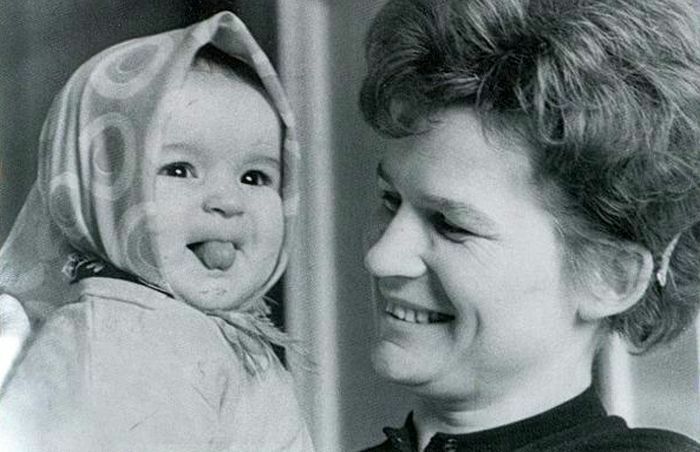 She gave birth to daughter Yelena, who was the first person to have both a mother and father who had traveled into space. “Don’t believe what your eyes are telling you. All they show is limitation. Look with your understanding. Find out what you already know and you will see the way to fly.” – I am reading in “Jonathan Livingston Seagull” by Richard Bach now. 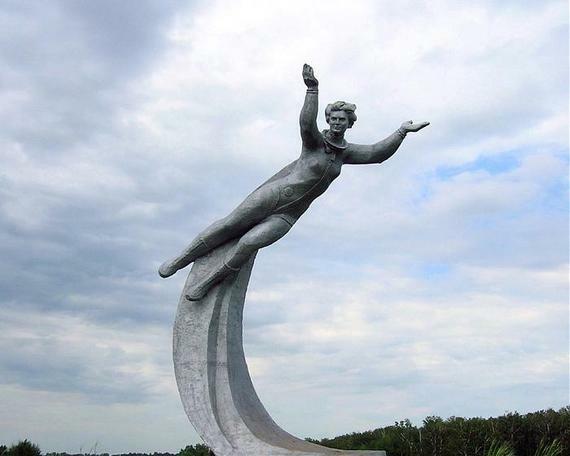 “You will see the way to fly” – we see the sense of the words embodied in Valentina Tereshkova Monument at the site of Vostok 6 landing. Thank You for flying with me. Oh, yes, we are strong! Thank you, Linda, for the strength you share with me. I remember when she went into space, or heard about it after she blasted off and the USSR announced it. 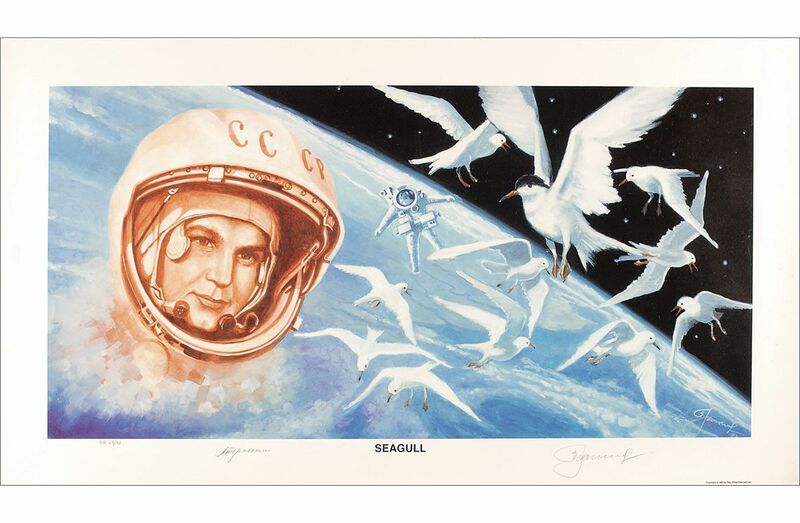 All of the Cosmonauts and Astronauts at that time were very brave. I have just read a story about Valentina Tereshkova – even her relatives did not know about the day when she lifted on the board of Vostok 6. Her mother knew the news from TV. Later Tereshkova explained that she did not want her afraid and worry. A name worth remembering, even if it’s not another American. Thank you! Happy you have found something worth to remember here. I am here for it. Have a good day! Petitions: 16th June ” Valetina Space Day” to be declared by UN. Please Honor “Valentina Vladimirovna Tereshkova” Known as ‘Chiaka’ in recognition of the First Woman flight in the Space. It is a very good idea! I have signed the petition. Thank you very much.